The Rune Bezels replicate original designs by Susan Lenart Kazmer. 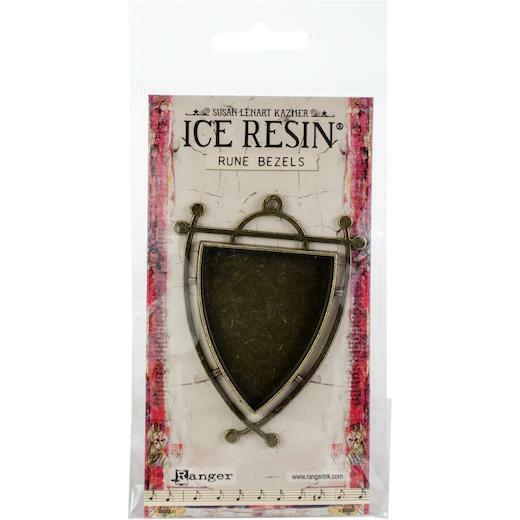 Rune Bezels have a closed back and are ideal to fill with Iced Enamels, Shattered Mica, German Glass Glitter, Opals, and ICE Resin. Perfect for creating beautiful, unique jewellery and mixed media. This package contains one 2.375 x 3inch antique bronze shield bezel.